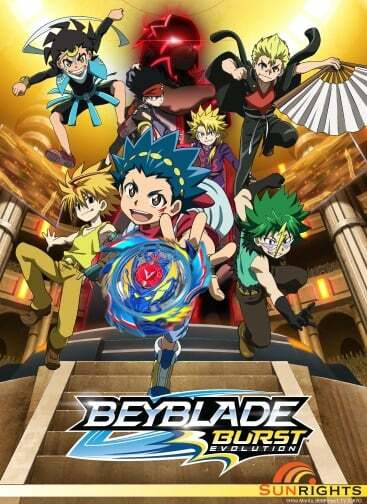 NEW YORK – April 19, 2018 – SUNRIGHTS INC., the New York City-based entertainment rights management company, has announced the renewal of its animated series BEYBLADE BURST by New Zealand’s TVNZ. Season 2 – under the banner BEYBLADE BURST EVOLUTION – is now airing on TVNZ. The series’ success in the region has been flanked by strong toy sales, as kids can’t seem to get enough of the BEYBLADE BURST brand. Produced by d-rights inc., and animated by OLM, the inaugural season of BEYBLADE BURST introduced viewers to a group of passionate Bladers – Valt Aoi and his friends – who follow their dreams on an unforgettable journey to the top. The series’ second season, BEYBLADE BURST EVOLUTION, takes their exciting adventures international with a suspense-filled storyline rolling out over 51 action-packed 22-minute episodes. Valt, runner-up at the Japanese National Tournament, travels to Spain after being scouted by the prestigious Spanish club, BC Sol. With the world as their stage, Valt and friends face daily challenges in their fight to make it to the World League. But before they can earn the right to a spot, they must first prove themselves in the European League. Will Valt be able to lead BC Sol to ultimate victory? And once there, does he stand a chance of beating the best Bladers on the planet? So begins the story of Valt’s evolution as he battles his way to the pinnacle of the Blading world.